"From photographs of the Federal Navy and seaborne expeditions against the Atlantic Coast of the Confederacy, 1863-1865." Wet-plate glass negative. 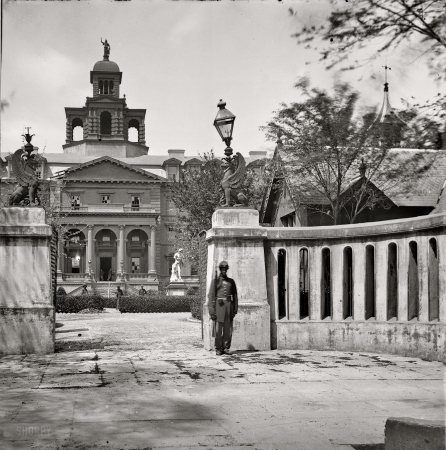 "Charleston Orphan Asylum, 160 Calhoun Street, used as a hospital for wounded Federal soldiers."